Which herb tea or combination of herbs would you drink if you had a fever, a headache, and a cough? Explain why you selected these herbs and how you would prepare them. Be sure to include any contraindications. I didn't want to repeat the herbs some have already chosen, so I decided to go outside of the herbs mention in the module, accept Borage, which I like cause I love cucumbers and that's what Borage infusion tea reminds me of. Anyway, I chose Passion Flowers for headaches, Borage for fevers and Wild Cherry Bark for coughs. Similar to chamomile, Native Americans have been using Passion Flower as a sedative and to calm the nerves. Though Passion Flower is considered mild, it is said that it works great to alleviate headaches. 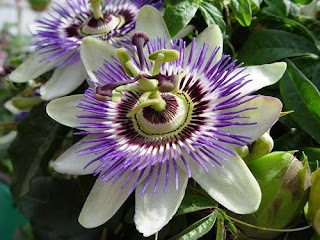 Passion Flower is also known to help lower blood pressure. I picked up a ounce of Passion Flower at a local herb shop here and found a tea recipe for it online. Take 1 cup of boiling hot water and pour it over 1 tsp of dried flowers, steep for about 10 minutes and then strain. Doesn't taste great. I suggest adding a bit of honey which is what I did. I didn't feel anything to be honest. But that might be, because I'm used to drinking chamomile, and since I didn't have a headache I don't know if it actually works. I have plenty left so I'll have to find me a guinea pig with a headache to test it again. I have been given Borage infusion tea in the past for fever and my memory is of the taste of cucumbers. Not only is Borage infusion tea good for helping to lower fevers but is also great for soothing sore throats which can help with coughs. 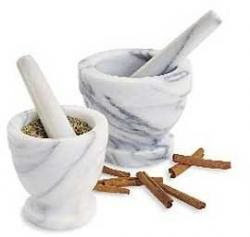 It has also been use to combat kidney and bladder problems, and as a poultice can be used to soothe skin inflammations. I bought an ounce of Borage at the same place I did the Passion Flower (these plants don't grow wild around here). I found a recipe online and below is that recipe. To make a infusion tea of Borage, boil 2 ½ cups of water and then remove from heat. Add ¼ cup of dried leaves and cover, allowing the infusion to steep for 10 minutes. Drink ¼ cup of Borage infusion tea up to three times a day. This will help reduce your fever, purify your blood and remove toxins from your kidneys as well as help relieve your cough and soothe sore throats. Again I don't have a fever to really test this. But as I said earlier, I have been given Borage in the past to combat fever and it worked. But then I was also eating diced up raw garlic and wearing several layers of clothes and blankets as well. Like I said I love cucumbers and that's what Borage kinda taste like. 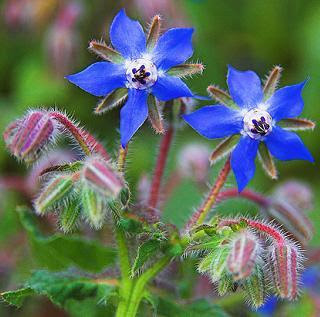 Borage shouldn't be given to Schizophrenic or epileptic patients because it may cause temporal lobe epilepsy. Also should not be used during pregnancy and while breastfeeding. Now this was my favorite herb to work with. I remember as a kid my grandmother bought Wild Cherry Bark cough syrup from this old fashion Rx drugstore out in I.V. Back in the early 70s. Me and my little brother thought we was getting candy. I decided I wanted to attempt to make this myself. The herb store in my town didn't have any, so I had to drive up to S.L.O. To get some. I searched online fore a how-to recipe and ended up using a YouTube video done by Herbal Mentor. It came out well and I even had a guinea pig to try it on. Wild Cherry Bark has been used for a very very long time. It is believed that the early colonist learned about it from the Native Americans, and from the early 1800s till 1975 was listed in the standard pharmacopeias. 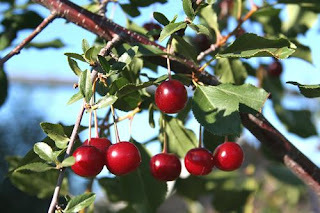 Besides being used as a cough syrup, it's also known as chokecherry cause the fruit is sour and believed to invoke sweating in order to lower fevers. Also in old folk medicine the bark was used as a ingredient in tonics and was used both as a decoction and extract to drive out worms and used in the same form externally on ulcers and abcesses. Because this does not grow in my area I had to buy it from a herb shop and I had to drive up to San Luis Obispo to get it. If you harvest the bark yourself, be sure to take the young shoot growing from the oldest stems in the autumn. First pick off all the little buds. Use a pairing knife to peel off the bark into thin strips till you have a decent pile. About a hand full and a half should be about right. I believe they call this type of recipe a decoction. Take the pile of bark shavings and put them in a pot. Put about twice as much boiling water as bark in the pot. I believe this is written as 1 part bark, 2 parts water? Anyway, enough water to cover the bark anyway. Let simmer on the stove for about 20 minutes or till the water is reduced by ½. Then strain it. Strain off all the Wild Cherry Bark. You should come out with about 1 ½ cups of decoction. Add about a ¾ cup of good honey. Not sure what brand I used. A friend gave it to me in a little bear bottle with no label. Stir it in so it mixes well. Then add about a cup of cherry juice for flavoring. I used Lakewood Organic Cherry juice in mine. Mix in well and bottle. I had a friend who had a really sore throat and was coughing like crazy and I gave him some and it seemed to help some he said. He wasn't coughing as much anyway. My syrup came out more runny than syrupy. I think I need to use a little more honey next time. Maybe a 1 ¼ cup of honey? 1. Lagow, Bette. PDR for Herbal Medicine. Third Edition. Montvale: Thomas PDR, 2004, pp. 120. 4. Dwyer, James. Magic and Medicine of Plants. Pleasantville: The Reader's Digest Association, Inc., 1989, pp. 117. 7. Ody, Penelope. The Complete Medicinal Herbal. First Edition. New York: Dorling Kindersley, Inc., 1993, pp. 41. 10. Mountain Herb Estate; Article: BORAGE (Borago officinales); http://www.herbgarden.co.za/mountainherb/article_borage.htm; 12/17/09. I've had a headache almost every day for the last couple of months. I'll go get some passionflower and try it out and let you know. Hopefully it works. I'm tired of taking Ibuprofen all the time.